When all your senses are on holiday, culinary experiences abound. Simply try it! In our gourmet hotel in South Tyrol, every day we serve you delicious plates, which you will remember for a long time. 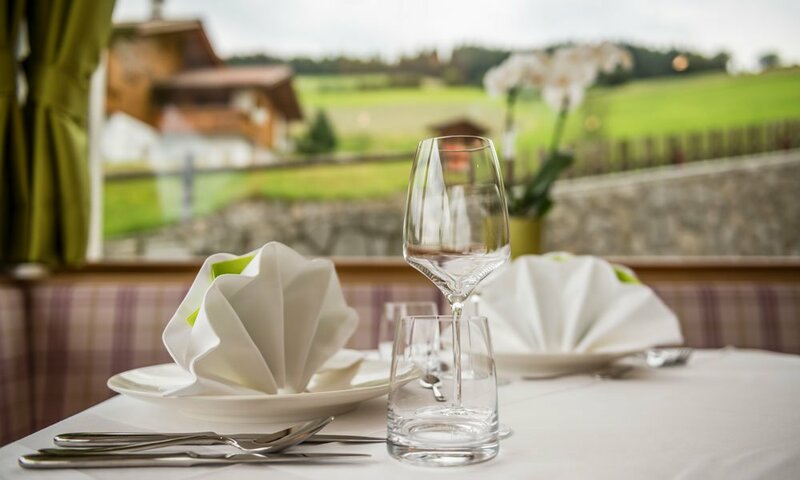 While during the day you roam in the mountains or hit the ski slopes in Gitschberg Val Giovo, you may already look forward to another highlight in the evening – when we welcome you in our quaint restaurant and serve dinner in an inviting ambience. Guests with gourmet half-board may enjoy delicious dishes of the South Tyrolean cuisine and international plates. Enjoy your meal! It is very possible that your taste buds only really get going after a day hiking in the mountains. 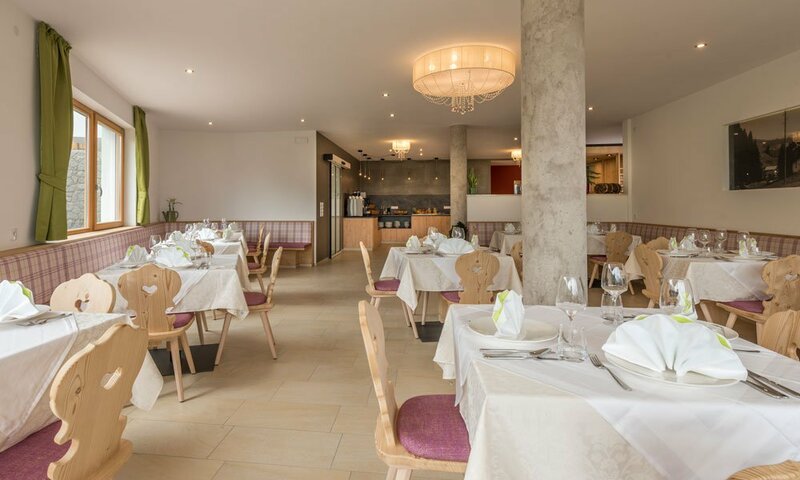 Your dinner in our gourmet hotel in South Tyrol will taste twice as good. Be inspired by our South Tyrolean hospitality and enjoy the dishes with selected ingredients – for example, the meat comes from our farm. You will also like our salad buffet. We cook in a traditional, healthy way, and are always eager to fulfil special wishes. Thus, we are happy to adapt our old family recipes in case of allergies. As a gourmet hotel in South Tyrol, our half board also offers the possibility to organize a hearty barbecue evening in the courtyard.